For Jessica Tregarth, an unexpected invitation to visit her grandfather in England is a wonderful surprise--an opportunity to open doors to a family past that have always been closed to her. But sinister acts greet her arrival. A stranger tries to steal her luggage and later accosts her in Salisbury Cathedral. Mysterious villains pursue her through Cornwall, their motive and intentions unknown. Jessica's only clue is an antique heirloom she possesses, an ancient ring that bears the Tregarth family crest. And her only ally is handsome Gothic novelist David Randall--her self-proclaimed protector--who appears from seemingly out of nowhere to help her in her desperate--attempt to solve a five hundred-year-old puzzle. For something from out of the cloudy mists of Arthurian lore has come back to plague a frightened American abroad. And a remarkable truth about a fabled king and a medieval treasure could ultimately make Jess Tregarth very rich...or very dead..
A lot goes on in this book, and a lot of it is so nonsensical that I had a hard time keeping up. But that's not to say I didn't have fun, because I DID find the entire situation a bit amusing. Even our main male character, David, eventually points out that the whole fiasco is kind of playing out like some sort of farce. None of the characters act like some dire situation is going on, which gave the entire story a bit of a comedic flair... even if the attempted humor was a more eye-rolling "I'm not sure what's going on here" type of comedy. Some of it was rather clever, but some of it went over my head. And while I have a feeling that David constantly calling Jess names like "fool" or "you idiot" or "you mucker" or the like, was supposed to be taken in good humor, I actually got quite annoyed by it. Jess will also lob a few things back at him, like insulting his speed racer driving, but I'm not sure that's enough to put them on equal ground with the insults... though, I suppose it will have to suffice for a book originally written in 1969. Nonetheless, the entire progression of the book was fairly forward moving, even with all the strange twists and turns we take, as the characters run around small towns in England with no actual destination. Basically there's just a lot of nonsensical happenings as our main characters try to figure out what's going on: Why Cousin John is after Jess? What's the significance of the ring she has, given to her by her father who walked away with it when he was disowned? Why does her grandfather suddenly want it back? The two villains are made out to be incompetent, but somehow keep catching up with Jess and David. David spends more time being overly creative about the situation with his writer's mind. Jess spends more time trying to get some sight-seeing in. There are Arthurian tidbits thrown in, and even some snark at romance, specifically Gothic romance, authors and books. All-in-all, I found this pretty entertaining, even if not the best book in the world. 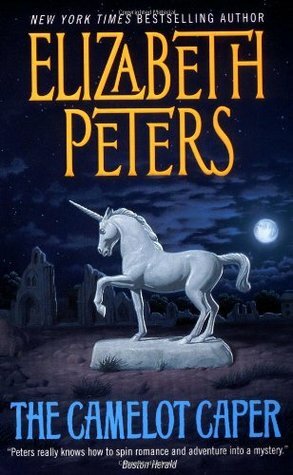 But I will definitely continue reading from Elizabeth Peters when I can get my hands on more books. On a side note, I'm not entirely sure why this book is marked as part of the Vicky Bliss series, though I suppose I'll find out when I go to read the actual first book of said series? 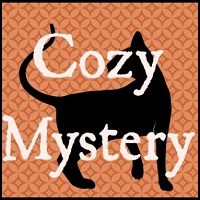 Amateur Sleuth: Okay, so no murder actually happens in this book, but there's a mystery going on that our protagonists need to solve. I don't know what Jess does for a living, but it definitely isn't crime fighting; David is a writer. Romantic Suspense (? ): This might almost fit this category if there was a little more romance, but as it is, the romance scenes feel a bit hidden, and you miss them if you blink... But it's sort of there if you squint hard enough. Gothic (? ): This book is not tagged Gothic at GR, but I'm almost inclined to say that it's got some elements of a Gothic novel once our character reach Cornwall--and also, there's some cheek at Gothic romance authors and novels.